OOh, I like the sound of this with a bit of coconut. Love how simple this is and it looks so good! 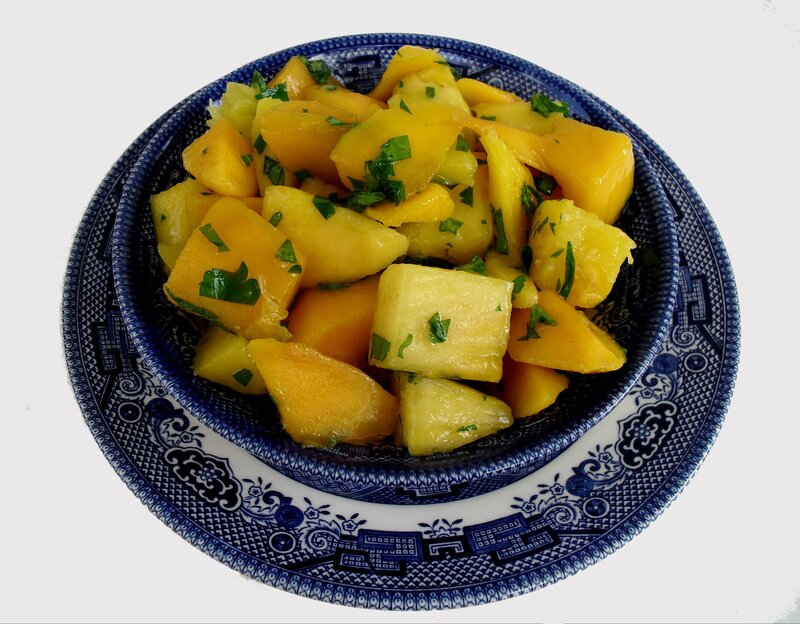 I’m making it as soon as mangos are in season here. That looks so good! I am posting my BSI in the morning – it was kind of boring, a fresh mango and pineapple smoothie, but it was really good and only 1 point per serving! Off to the gym with my daughter – I’ll check out your slideshow when I get back – glad you had a great time! 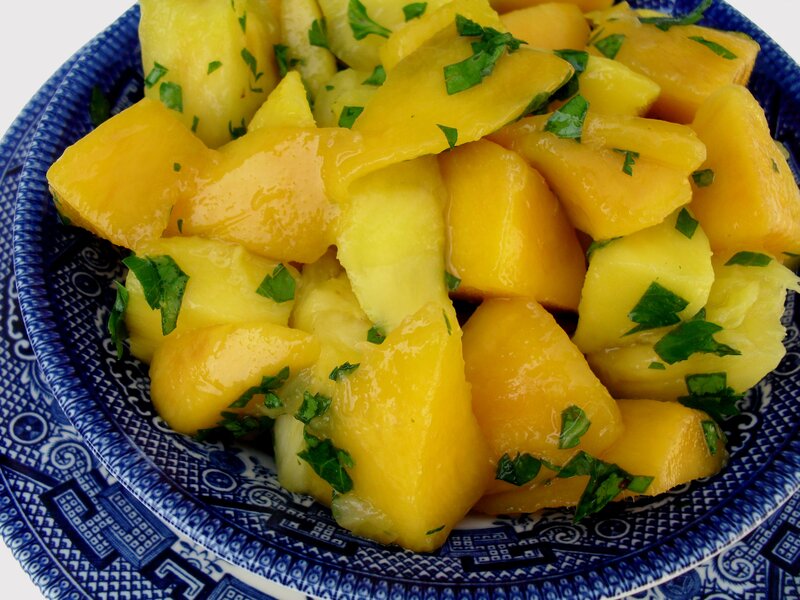 I ADORE mangoes. One of my favorite fruits ever, after durian, mangosteens, and figs. All of my favorite fruits, I prefer them “pure”, but I’m changing my mind as I drool over this salad. Right now, I want to dig into this salad with a spoon, and then use the teensy bit leftover to top a fried coconut-crusted shrimp taco with Greek yogurt. 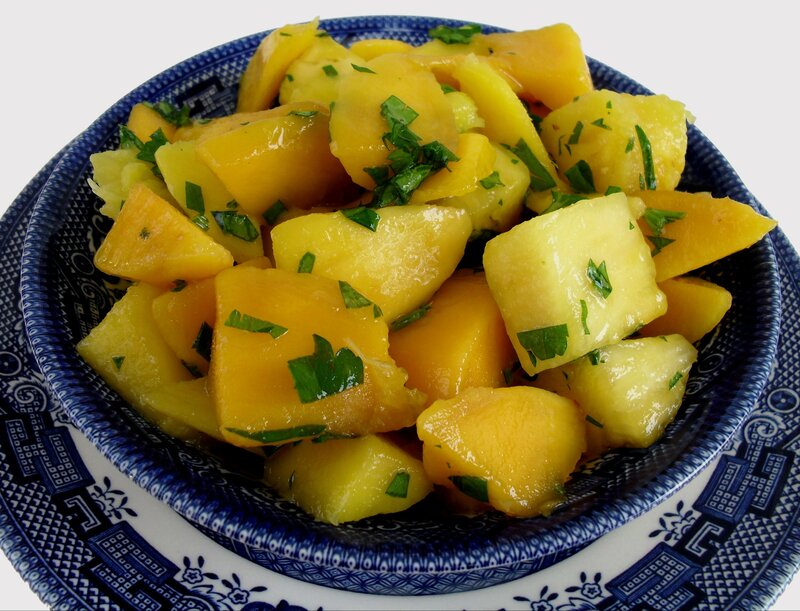 Mangoes are my favorite fruit also and I could and WOULD totally eat this entire salad. Possibly for dinner, possibly for lunch, possibly as a mid-day snack…possibly all three…delicious! Looks yumm… am sure it would have tasted yumm too.